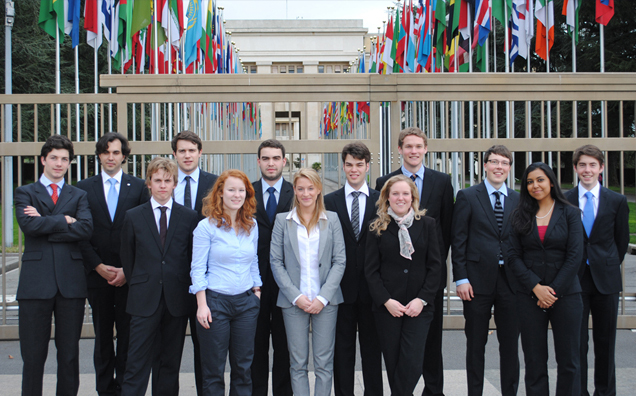 The University of St. Gallen has been participating at the annual National Model United Nations since 2005. Below, you will find information about and pictures of past delegations. At the National Model United Nations 2018 in New York the HSG Delegation represented Portugal. You can find their final detailed report here. 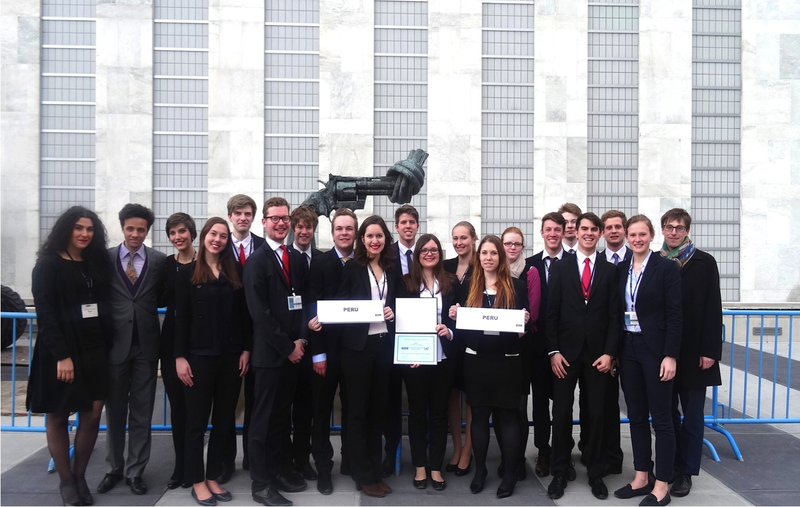 At the National Model United Nations 2016 in New York the HSG Delegation represented Italy. You can find their final detailed report here. 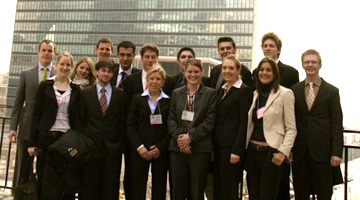 At the National Model United Nations 2015 in New York the HSG Delegation represented Afghanistan. You can find their final detailed report here. 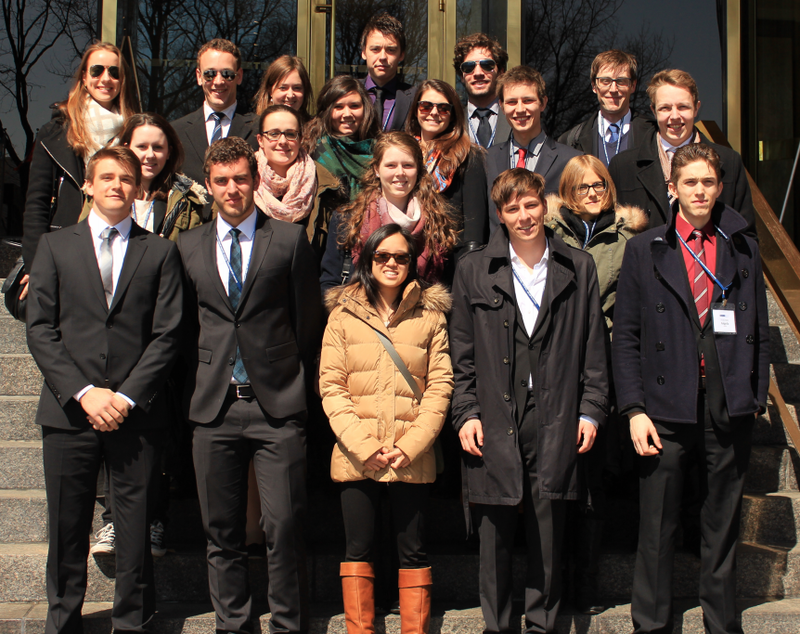 At the National Model United Nations 2015 in New York the HSG Delegation represented Peru. You can find their final detailed report here. 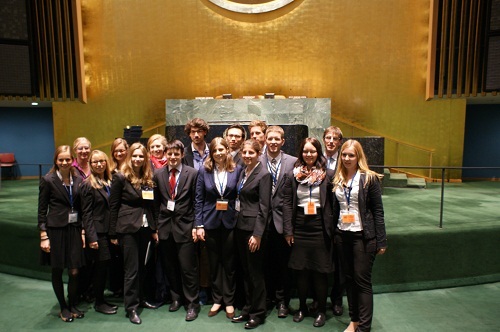 At the National Model United Nations 2014 in New York the HSG Delegation represented the Republic of Angola. They received “Diplomacy” award for their preparation and participation as well as several “Outstanding Position Paper” awards in various committees. You can find their final detailed report here. 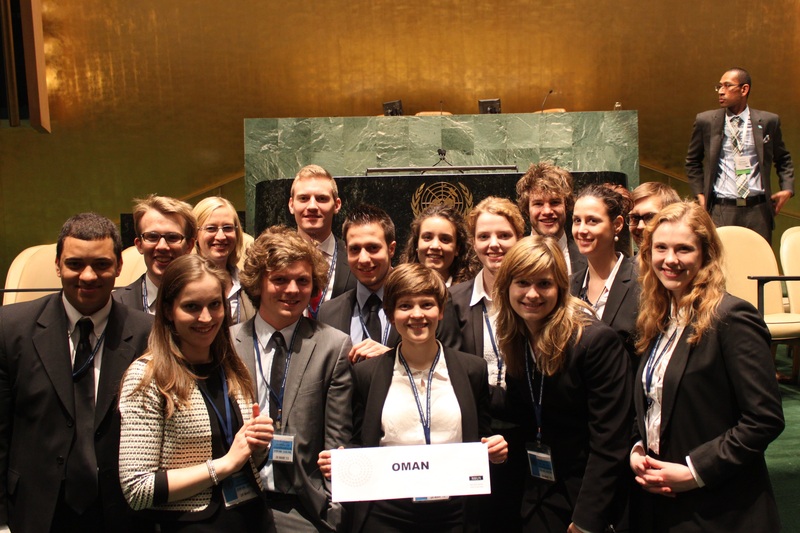 At the National Model United Nations 2013 in New York the HSG Delegation represented the Sultanate of Oman. They received an “Honorable Mention” award for their preparation and participation as well as several “Outstanding Position Paper” awards in various committees. You can find their final detailed report here. At the National Model United Nations 2012 the HSG team represented the Caribbean island-state Grenada and received an “Honorable Mention” award for their preparation and participation as well as several Position Paper awards for various committees. You may find a detailed report here. 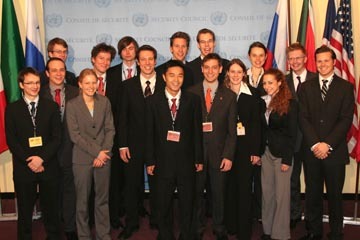 You can access the 2012 NMUN blog here. 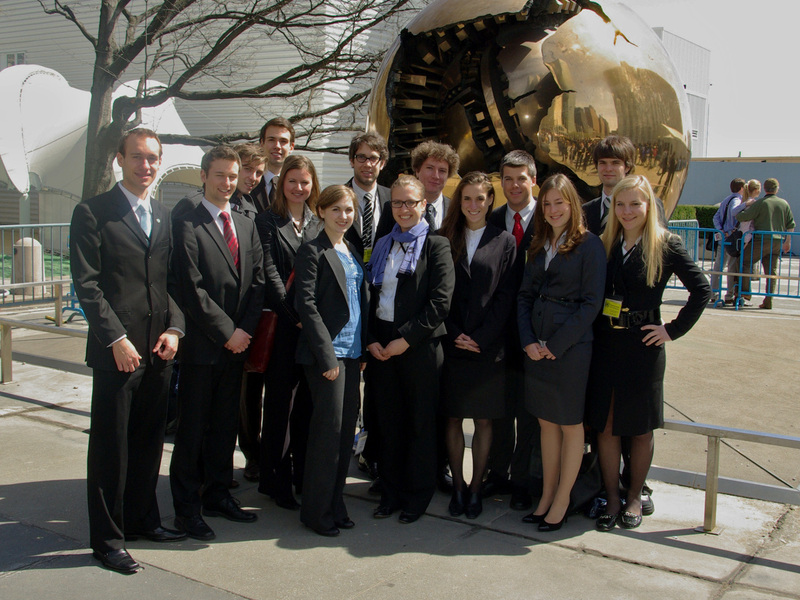 The 2011 delegation successfully represented Sudan and received an award for its “Outstanding Position Papers”. You can find the detailed report here. 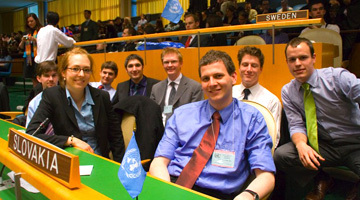 The 2010 delegation represented Iceland and received an award for its “Distinguished Delegation” and “Outstanding Position Papers”. You may find a detailed report here. The 2008 delegation represented Kyrgyztan and received an “Honourable Mention Award” in recognition of their commitment during the conference. 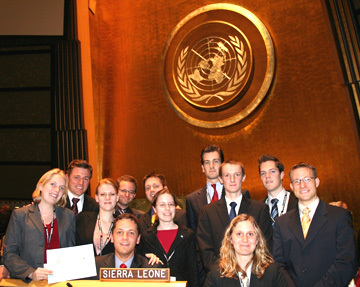 The 2007 delegation represented Sierra Leone in New York and received an award for “Outstanding Position Papers”. The 2006 delegation represented Slovakia.